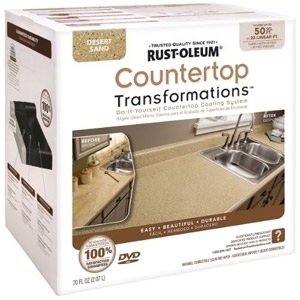 Use to transform worn or damaged laminate countertops into new counter surfaces. Gives a pemanent look of natural stone. 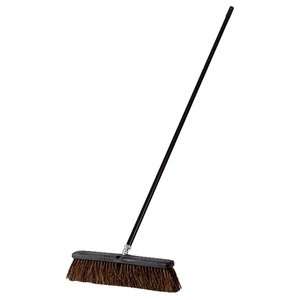 Also works on tables, desks, dressers, bathroom vanities and more. Replaces carriage bolts. Available in 6-1/4", 7" and 8". No pre-drilling necessary. Reduces labor. Use to fasten fascia to side of deck. Unique design helps to prevent buckling of fascia boards. 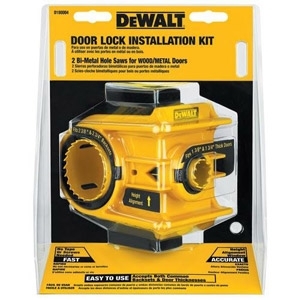 Includes 2 hole saws (2-1/8" & 1") and template. 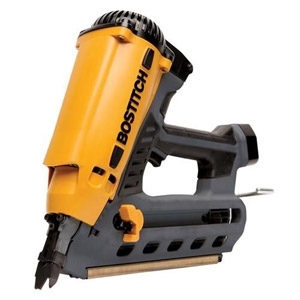 Works on 2-3/8" or 2-3/4" backsets. Paintable in 40 minutes. 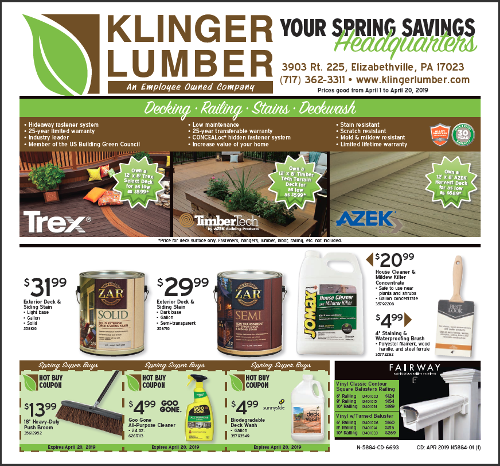 Mold & mildew resistant. Water cleanup. 10.1 oz. Tube. Adds style as it waterproofs. 10 year warranty. Available in 2 colors - Natural Sand and Misty Gray. 28 degree wire weld. Gas fired. Shoots 2" to 3-1/2" nails. Weighs 8.3 lbs. Extrudes down to 0 degrees F. Permantly Flexible - won't crack. 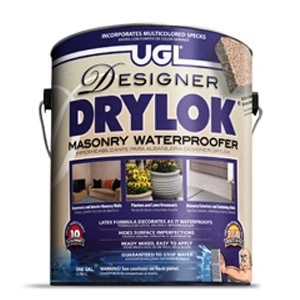 Adheres to most construction materials. 3 colors in stock - white, translucent, and black. The front edge of the guard clips securly to the underside of 5" K-style gutters. The back edge then snaps over the back wall of the gutter, creating an easy-to-handle box-section. 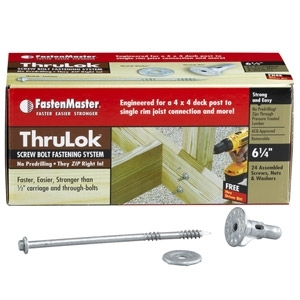 The flat shoulder rests on top of the front gutter edge and is attached using .5" metal gutter screws (included). 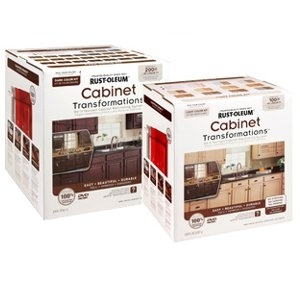 Cabinet Kits Come in two sizes: 100sq. ft. and 200sq. ft. Both kits are avaliable in light or dark tint bases. 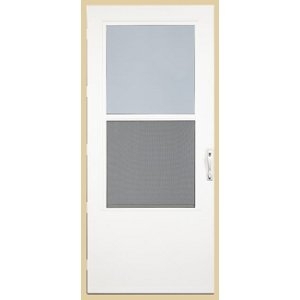 Screen Away® retractable screen disappears into hidden cassette at the top of the door. Brushed Nickel interior and exterior handle with BUILT-IN deadbolt security lock. 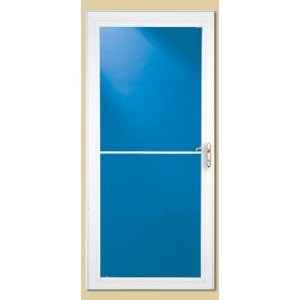 Overlapping frame extends over door seam to seal out weather and conceal hinges and gaps. 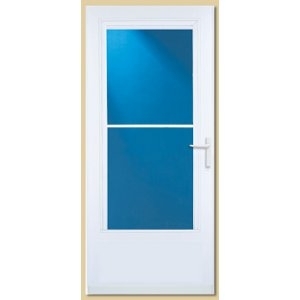 Double weatherstripping for superior protection. 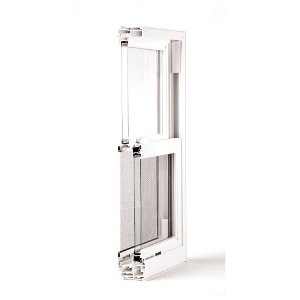 Screen Away® retractable screen disappears into hidden cassette at the top of the door. Brushed nickel interior and exterior SecureLock handle with built-in security lock system. Patented Design. Magnetic weatherstripping seals like a refrigerator. Bottom expander adjusts for uneven sills. 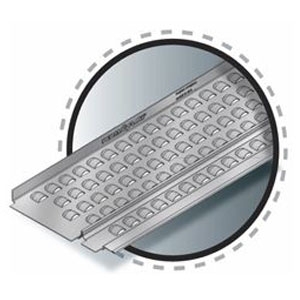 Screen Away® retractable screen disappears into hidden cassette at the top of the door. Brass finish exterior handle with key lock and color match inside handle. 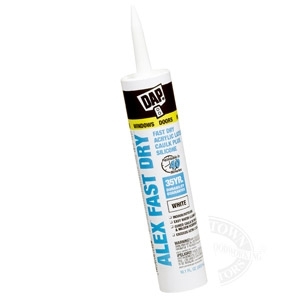 Heavy duty weatherstripping. Bottom expander adjusts for uneven sills. 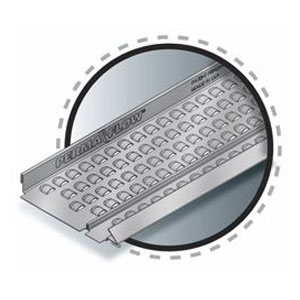 Screen Away® retractable screen disappears into hidden cassette at the top of the door. 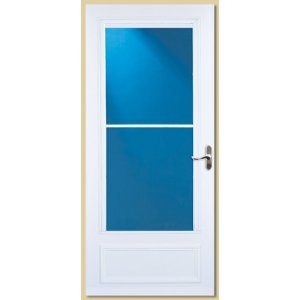 Color-matched lever with inside lock. Heavy duty weatherstripping. Bottom expander adjusts for uneven sills. 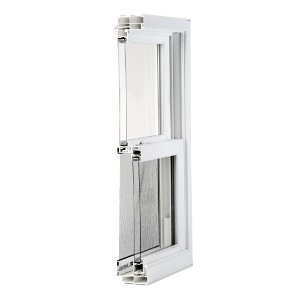 Decorative Double Bevel Full-view glass with an interchangeable screen included for ventilation control. Brushed nickel finish interior and exterior handle with BUILT-IN deadbolt security lock. Heavy duty weatherstripping. Bottom expander adjusts for uneven sills. Tear resistant WearTuff™ Screen is kid and pet friendly. 3x stronger than regular screens. 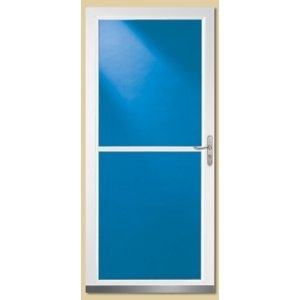 Color-matched interior and exterior handle with built-in lock system. 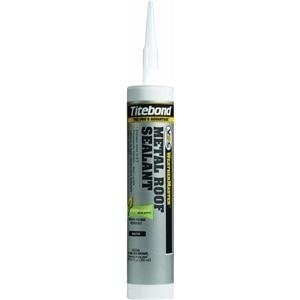 Heavy duty weatherstripping. 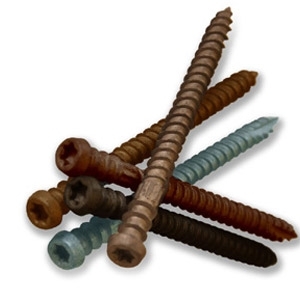 Bottom expander adjusts for uneven sills. 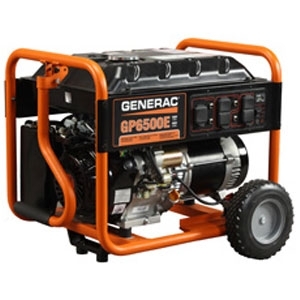 An affordable solution for many different applications, the GP6500 (pull start) and GP6500E (electric start) are ideal for tailgating, camping, power tool use, and emergency home backup power. 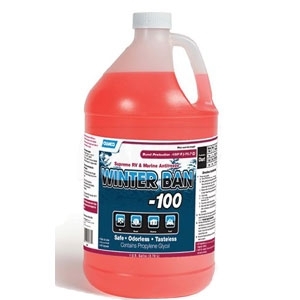 Protect your RV’s potable water system from freeze damage. Camco antifreezes inhibit fouling and corrosion while preventing algae growth. 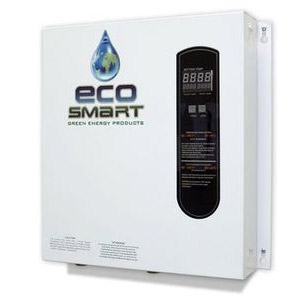 They also help in lubricating pumps and valves throughout the system. 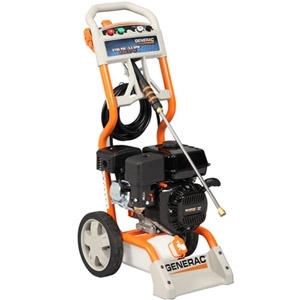 Choose a temperature-specific product designed for your winterizing needs. Safe and tasteless. 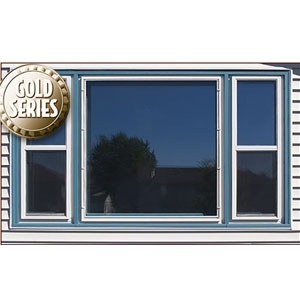 The Gold Series is our premium series with additional features for extra-tight fittings, increased durability, and the ultimate thermal protection against drafty windows. 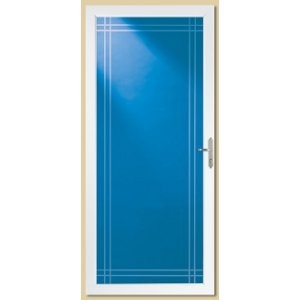 They are excellent choice for three-season rooms and porch enclosures.